Beer gets a gastronomic makeover with these creative flavors. The craft beer world is full of wonderful and wacky collaborations, and the latest piquing our interest doesn't involve some pop-culture references or musicians, but rare, specialty ingredients you'd find on the tables of some of the world's top restaurants, if not halfway around the globe. Enter "Yokozuna Wit," a citrusy Belgian-style Witbier featuring the spicy tingle of Szechuan buttons. It's the first of four creative beers in "B-Tracks," a collaboration between the Bronx Brewery and Baldor Specialty Foods. The two Bronx-based companies are working together to take a more cheffy approach to beer: Baldor offered Bronx Brewery the same guidance on seasonal flavors that it gives to New York City restaurants designing their menus. The name "B-Tracks" refers to the B-Sides of records, where artists will usually play around with more experimental material, in contrast to their more tried-and-true formula hits. 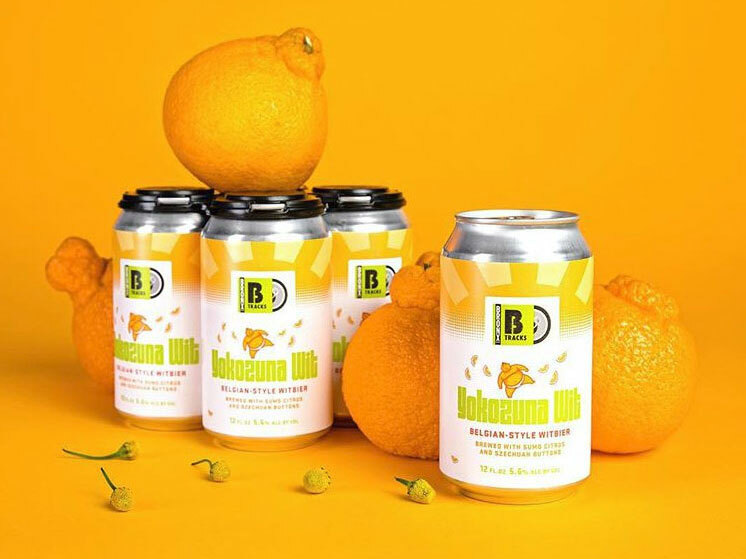 As Bronx Brewery's Patrick Libonate tells BeverageDaily, the brewery began with trying to make one perfect beer, so B-Tracks' more off-kilter approach is a way outside Bronx Brewery's traditional way of doing things. Take "Yokuzuna Wit." This seasonal brew is named after sumo wrestling's highest rank and features orange Sumo Citrus flavors. Next from the collection is "Heavy Fennel," which was released March 7. It's a creamy Irish stout made with fennel pollen. In April, we'll see "Don’t Kaffir the Reaper," a Gose-style beer with Kaffir limes and pink Himalayan sea salt, to be released on the third of the month. April 23 will bring "My Berry Own IPA," an IPA made with strawberries from Harry's Berries. These are just the first four out of the eight to 10 B-Track beers Bronx Brewery plans to release over the course of the coming year. If this is what they did with spring ingredients, we can't wait to see what flavors the rest of the year will bring us. You can get a 13.5-ounce draft pour of Yokuzuna Wit and Heavy Fennel for $7 or a 4-pack of 12-ounce cans for $10 now at Bronx Brewery's taproom. For updates, you can follow the Bronx Brewery, @TheBronxBrewery, on Instagram and Twitter.